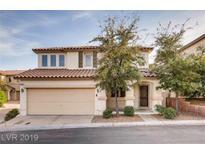 Below you can view all the homes for sale in the Lone Mountain Terraces subdivision located in Las Vegas Nevada. 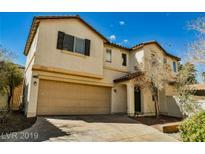 Listings in Lone Mountain Terraces are updated daily from data we receive from the Las Vegas multiple listing service. To learn more about any of these homes or to receive custom notifications when a new property is listed for sale in Lone Mountain Terraces, give us a call at 702-930-8014. Call To See Before It's Gone! ! 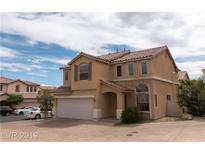 MLS#2087030. RE/MAX Excellence. Easy Access To Schools, Shopping And Freeway! MLS#2085835. BHHS Nevada Properties. This 3 bedroom home is located within 500 feet of Conners Elementary School. MLS#2081107. Windermere Anthem Hills. What other home owners love about this quaint community is the proximity to outdoor recreation such as hiking, biking, horse back riding and some of the best parks in Vegas. MLS#2073648. Simply Vegas. Right around the corner from community park and close to hiking, stores, and 215. MLS#2071040. Century 21 Americana. A Beautiful 2-story Richmond American Property Located Just Minutes Away From The 2-15 Features An Open Layout, Formal Living Room, 4 Bedrooms And Three Bathrooms, Wood Flooring All Throughout Downstairs, And A Water Softener! Schedule Your Showing Today! MLS#2069033. Keller Williams VIP.